Don chose 3/8” rubber rolls. 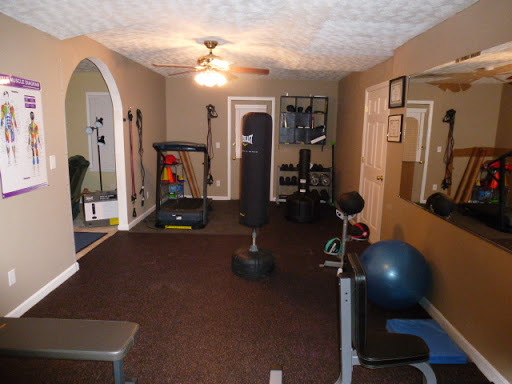 He used this rubber flooring to design a fitness center in his basement. Don attended the National Academy of Sports Medicine to become a personal trainer and it has always been a dream of his to own a fitness center and train clients. Rolled rubber is a great option for home gym flooring where weights and exercise equipment is going to be used on a regular basis. Interlocking rubber tiles are more common for home applications because they’re easier to install and require no adhesives. This makes the flooring easy to transport if you decide to change locations and want to bring your rubber flooring with you. However, rolled rubber is less expensive and is often found in commercial applications. Since Don is using his basement fitness center as a business, it makes sense that he would go this way with the rubber flooring. So, Don, would you recommend Greatmats to your friends? Thank you, Don. We’re glad you’re happy with your rubber flooring. We’re sure you’ll enjoy it for many years to come. Our rubber flooring products are available in various roll and tile sizes and types. Be sure to check through your options to determine the product that it best for your unique application. Do you have questions? Don’t hesitate to contact one of our customer service representatives and we’ll help you decide the best product for you!